Otakuthon 2018 will be using RFID-enabled badges to enhance your convention experience. Your badge serves as your ticket to enter the event faster – with just a quick tap of your badge! So, what is RFID? RFID stands for Radio Frequency Identification. It is a generic term used to describe a system that transmits the identity (in the form of a unique serial number, or UID) of an object or person using radio waves. RFID is designed to enable readers to capture data on tags and transmit it to a computer system without the need for physical contact. Pretty cool stuff, huh? Badges must be easily identifiable and visibly worn at all times. Cosplayers may temporarily conceal them for the purpose of photos, but must keep their badge visible for the remainder of the time. When entering the event, you must scan your badge “in”. Similarly, when exiting the event, you must scan “out”. Attendees who do not properly scan out their badge upon departure will not be able to reenter the event. Concert tickets are programmed in your badge, which will be scanned when you enter the concert. Pre-purchased merchandise can be picked up at the merchandise table by scanning your badge. Badges are non-transferable and non-exchangeable. Badges cannot be modified, visually or otherwise, and will be void if tampered with. Badges are still being visually checked in addition to the new system. Badges which are difficult to identify may be subject to more thorough verification. Defacement of badges (ex: with words deemed offensive or in any other inappropriate way) will not be tolerated. Any attendee violating this rule will have their badge revoked and deactivated with no compensation. Any attempts to electronically tamper with the badge will result in deactivation without refund. Otakuthon reserves the right to scan RFID badges at any time during the event in order to validate the identity of its holder matches the badge. Attendees are reminded that they must keep a valid photo ID on them at all times or risk having their badge confiscated with no refund if they are unable to confirm their identity. Only badges purchased from the official event website and ticketing partners are valid. Do not purchase badges from third parties. Where can I specify my badge name when pre-registering? Why is it not possible for mail orders to include badge names anymore? My badge was lost or stolen, what do I do? Do I need to do anything with my RFID badge before the event? Where is the Otakuthon registration area located and what are the hours of operation? I purchased my registration before 11:59pm EST on July 8, 2018 but haven’t received my badge in the mail yet. Who should I contact? The order that was shipped to me is missing badges/different than what I purchased. What should I do? My buddies and I completed our registration the same day. They received their badges, but I have not received mine yet. Should I be worried? 1. Where can I specify my badge name when pre-registering? In order to expedite registration this year, we will not be printing names on badges. Your badge information and extras are encoded inside the RFID chip of your badge instead and can be verified by Otakuthon staff when scanned. No name will be visibly displayed on your badge. 2. Why is it not possible for mail orders to include badge names anymore? Expediting registration this year not only involved switching to RFID badges, but also involved outsourcing mail orders to a third-party provider in order to ensure service quality. Otakuthon has opted not to pass on the increased costs of this new RFID system to attendees and is keeping its base admission the same as last year to keep the event affordable. However, including names on badges for mail orders would have added an additional cost overhead that would not be possible without increasing our rates. Premium badges are already planned to include a custom design with foil text. 3. My badge was lost or stolen, what do I do? 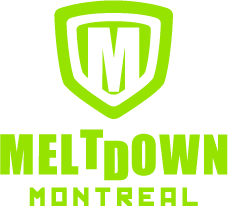 Please immediately report your lost/stolen badge to the customer service desk at registration located on the first floor (metro level) of the Palais des congrès de Montréal so that it can be deactivated. A valid piece of ID will be required to identify the lost/stolen badge to be deactivated. 4. Do I need to do anything with my RFID badge before the event? YES! If you receive your RFID badges in the mail, you will receive a packing slip identifying the registrant’s name associated with each badge’s UID, or unique identification number. The UID is a 16-digit code located on the back of your RFID badge. Simply match this number with the registrant’s name to ensure you’ve distributed the right badge to the right person. 5. When will I receive my badge? For those who purchase their registration with the mailing option by 11:59pm EST on July 8, 2018, you should receive your badges in the mail by July 27, 2018. If you have not received your order by July 27, 2018, you will need to contact fulfillment support(otakuthon2018@fulfillmentsupport.com). All accounts who paid for badge mail orders will receive instruction on how to contact fulfillment support(otakuthon2018@fulfillmentsupport.com) by email when badge mail out begins on July 9, 2018. For all others who registered online, bring your confirmation statement (mobile or printed) and valid photo ID to the Otakuthon Registration Area onsite to pick up your badge. 6. 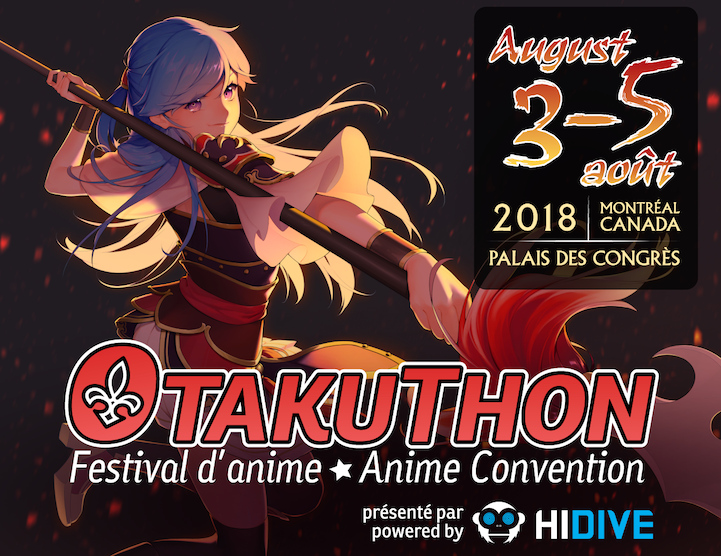 Where is the Otakuthon registration area located and what are the hours of operation? 7. I purchased my registration before 11:59pm EST on July 8, 2018 but haven’t received my badge in the mail yet. Who should I contact? Badges will ship in batches beginning on July 9, 2018 and should be received by July 27, 2018 at the latest. If you have not received your badge in the mail by July 27, 2018, please contact our fulfillment support(otakuthon2018@fulfillmentsupport.com). All accounts who paid for badge mail orders will receive instruction on how to contact them by email when badge mail out begins on July 9, 2018. 8. I need to change my address. Who should I contact? All address changes must be made before 11:59pm EST on July 8, 2018. After this, we will be unable to make any address changes. Please contact fulfilment support if this becomes an issue. All accounts who paid for badge mail orders will receive instruction on how to contact them by email when badge mail out begins on July 9, 2018. 9. I need to change/add to my order. Who should I contact? All orders are non-refundable and non-transferable. However, you can modify and add extras to your registration by logging in to your account on the registration website. For mail orders, all changes must be made before 11:59pm EST on July 8, 2018. For everyone else, all changes must be made before 11:59pm EST on July 26, 2018. 10. The order that was shipped to me is missing badges/different than what I purchased. What should I do? Badges are shipped by account, meaning that if you purchased badges with different accounts, they will be shipped to you separately. Badges are fulfilled and shipped in batches, so you may not receive all of your orders on the same day. If by July 27, 2018, you have not received all of your orders, or the order you received was incorrect, please contact fulfilment support. All accounts who paid for badge mail orders will receive instruction on how to contact them by email when badge mail out begins on July 9, 2018. 11. My buddies and I completed our registration the same day. They received their badges, but I have not received mine yet. Should I be worried? Not to worry! Badges are fulfilled and shipped in batches. If you purchased your badges by 11:59pm EST on July 8, 2018, but have not received your badges by July 27, 2018, please contact fulfillment support(otakuthon2018@fulfillmentsupport.com). All accounts who paid for badge mail orders will receive instruction on how to contact them by email when badge mail out begins on July 9, 2018.